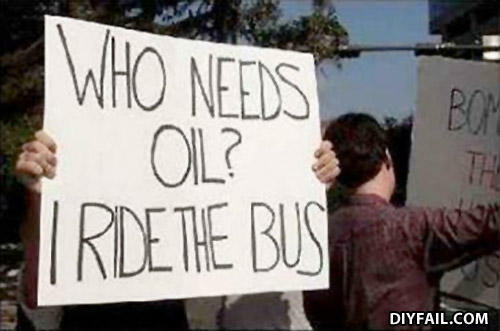 because the bus runs on water. The bus may run on diesel, but it still requires petroleum-based products for lubrication as well as the manufacture and maintenance of many of its parts. Stop being so mono-directional in your thinking (it IS a fail). And this person will be voting in the next election. Scary, huh? Why do black people love kool aid?